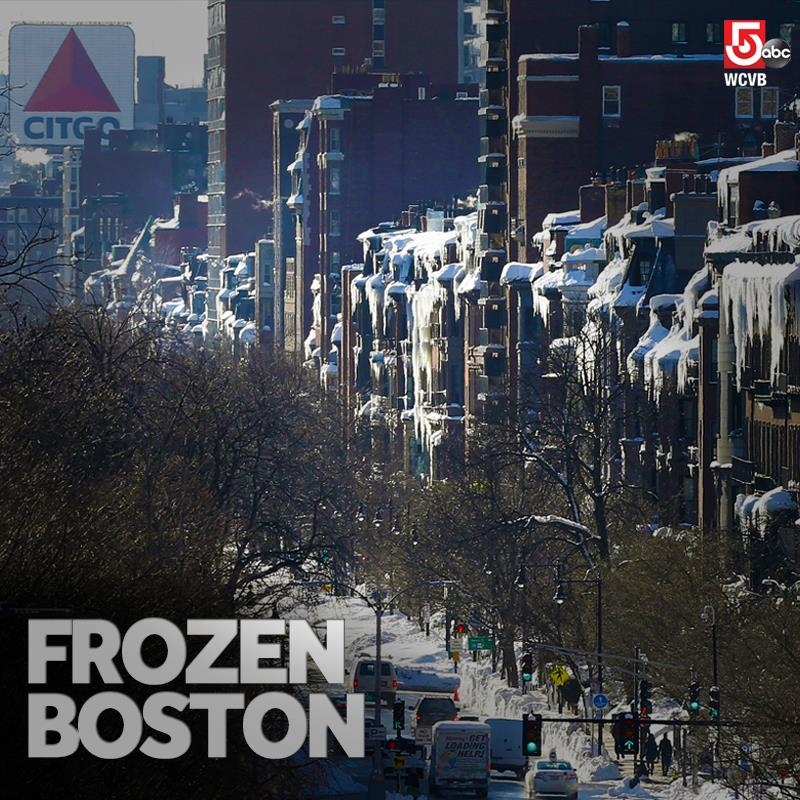 Boston Ties Its Second Snowiest Winter On Record. Near 80 Again In SE NM - But Winter Is Far From Over. Sorry for no updates for the past couple of days. My wife and I spent the weekend in the Sacramento Mtn's so I took a break from blogging. A mix of light rain, sleet, and snow fell overnight into early this morning across southeastern New Mexico and parts of West Texas. Tatum reported 2.3" of snowfall, and public reports from the Hobbs area indicated that 2" - 3" fell there. Light snow fell in Carlsbad for a couple of hours this morning but only trace amounts were noted. The Lincoln and Nogal areas reported close to an inch. The Cloudcroft area saw close to an inch. Ski Apace west of Ruidoso reported 2" of new snow bringing their seasonal total to at least 82". If you melted the snow pack down in the states mountains and measured the amount of liquid it contains then you would come up with the numbers depicted above. The Sacramento Mtn's are running a little above 50% of normal compared with 17% of normal this time last year. Hopefully the New Mexico will see several more significant snowstorms across its mountainous areas between now and April that will continue to add to these numbers. My Brother & Sister - In - Law's Home. 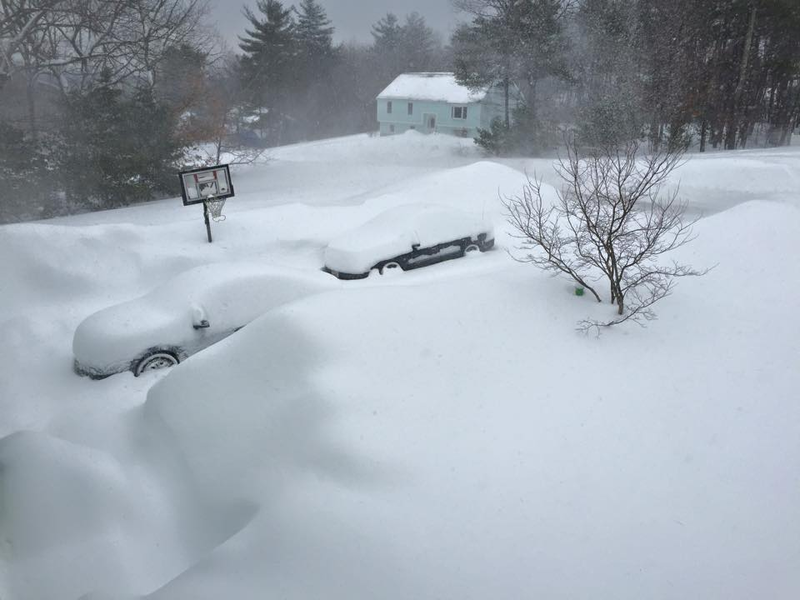 My Wife's Cousins Home Near Littleton, MA. 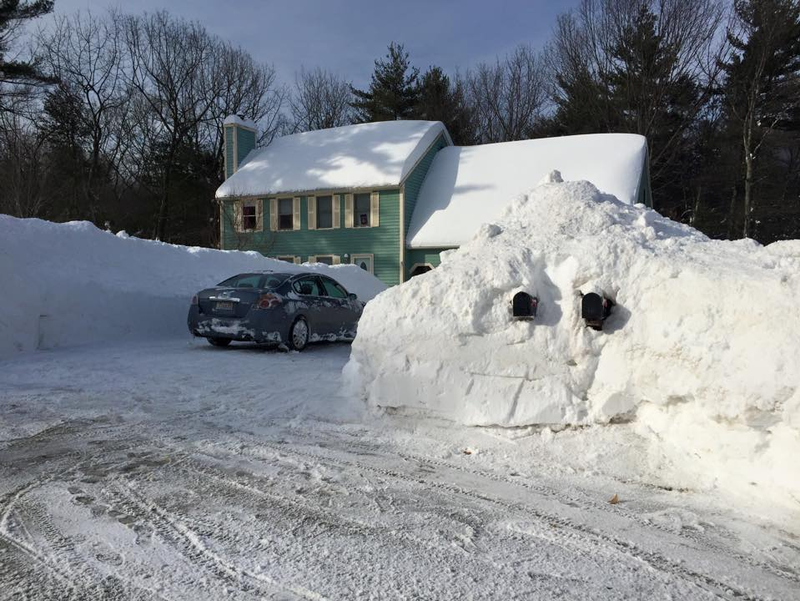 Those Are her Mailboxes Sticking Out Of The Snow Drift. Beacon Street In Boston, MA. 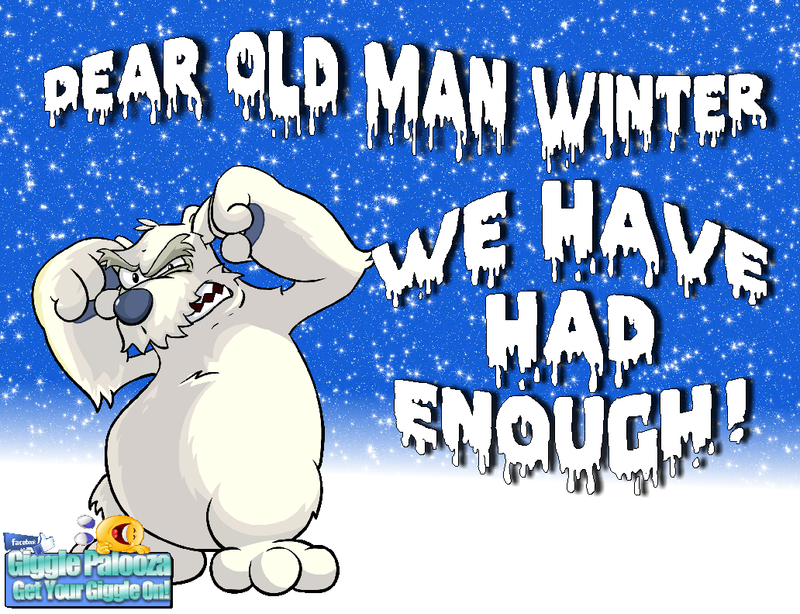 What New Englander's Think Of This Winter! 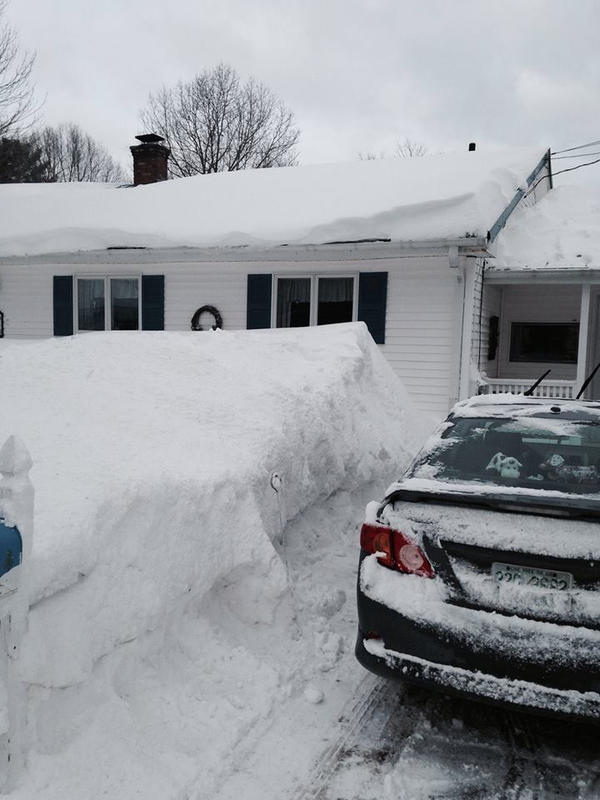 My wife's family in New England is way beyond sick and tired of all of the cold and snow this winter. As per the Boston NWS FaceBook Page: "BREAKING NEWS: Boston/Logan reported another 0.3 inches of snow at 7 PM. This brings the total for February up to 59.1 inches. 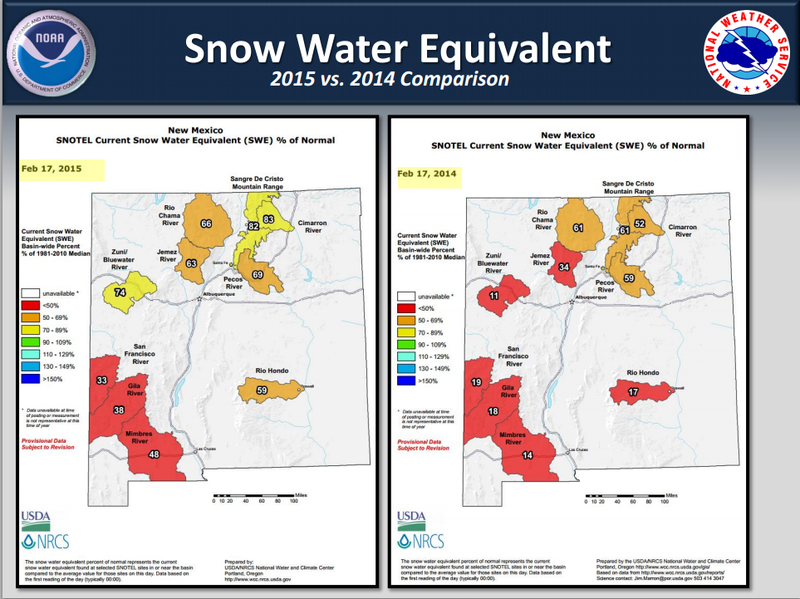 The 2014-15 seasonal total is up to 96.3 inches. This ties for the second snowiest season with the 1993-94 season. As of today they have measured 59.1" so far this month (the 17th). Snow This Morning - Then Near 80 Again. Valid @ 11 AM MST Friday. 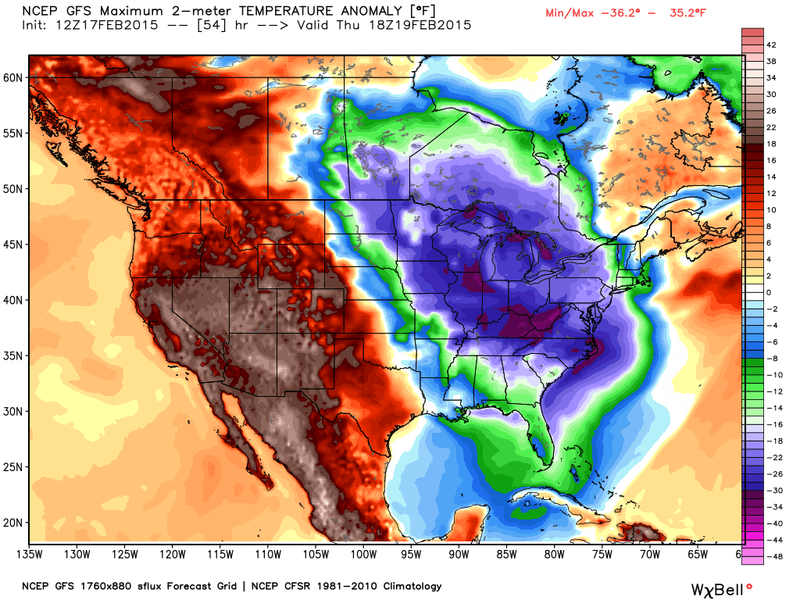 What a crazy roller coaster ride temperature-wise this winter has been for southeastern New Mexico and West Texas. Highs Wednesday are forecast to climb up into the mid-upper 60's and the mid-upper 70's Thursday and Friday. A few of us may even reach 80°F. 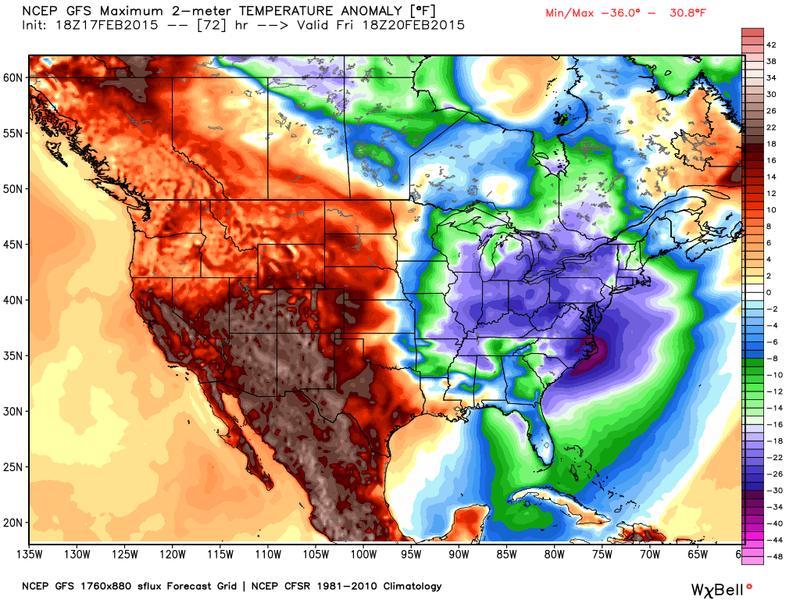 Saturday will see the 70's. Next Storm On The Horizon. What Goes Up - Will Come Back Down. 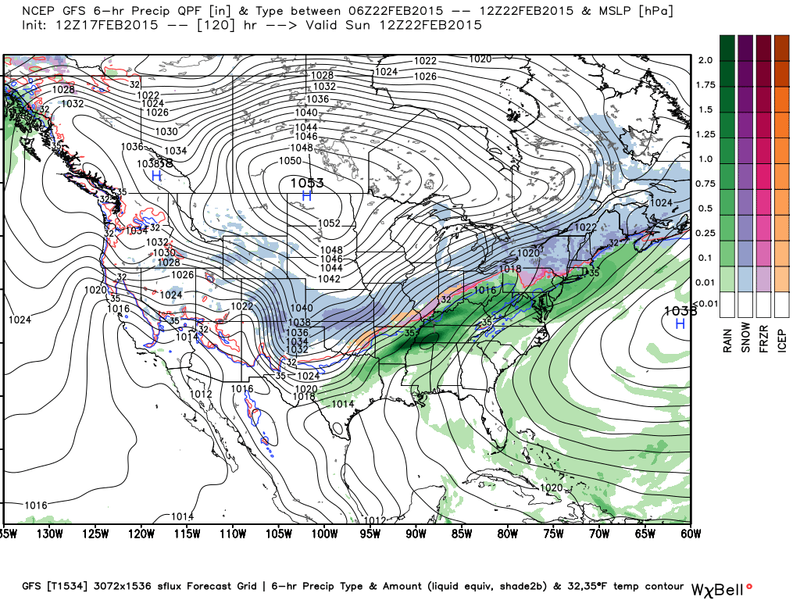 Valid @ 5 AM MST Next Monday. 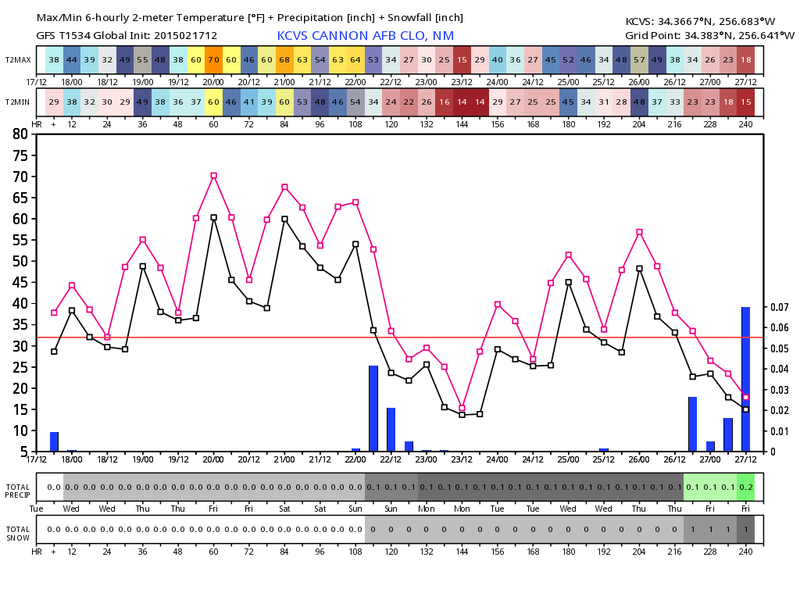 GFS 10-Day Forecast For Cannon AFB Clovis, NM. 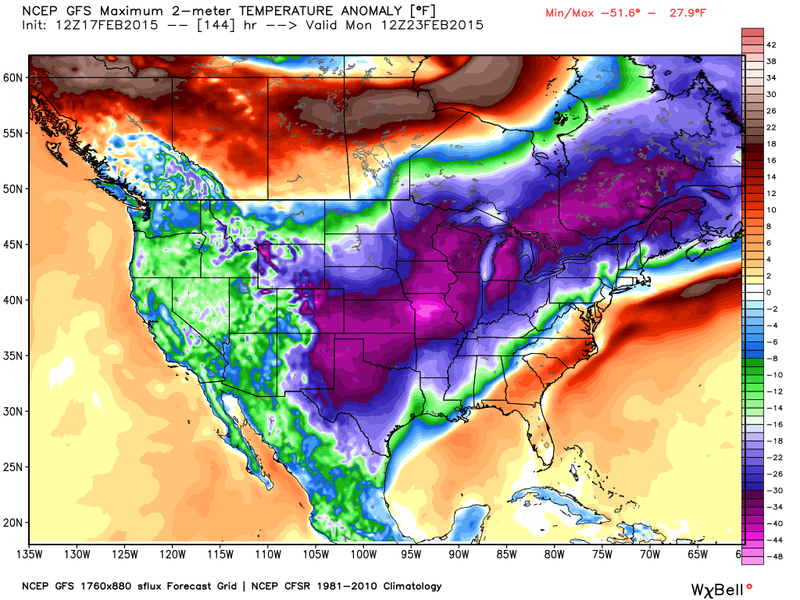 Sunday will see changes getting underway as the next shot of arctic air invades the eastern side of New Mexico Saturday night into Sunday morning. By sunrise Monday morning our temperatures will running some 30-40 degrees below normal across the eastern one half of the state and into West Texas. 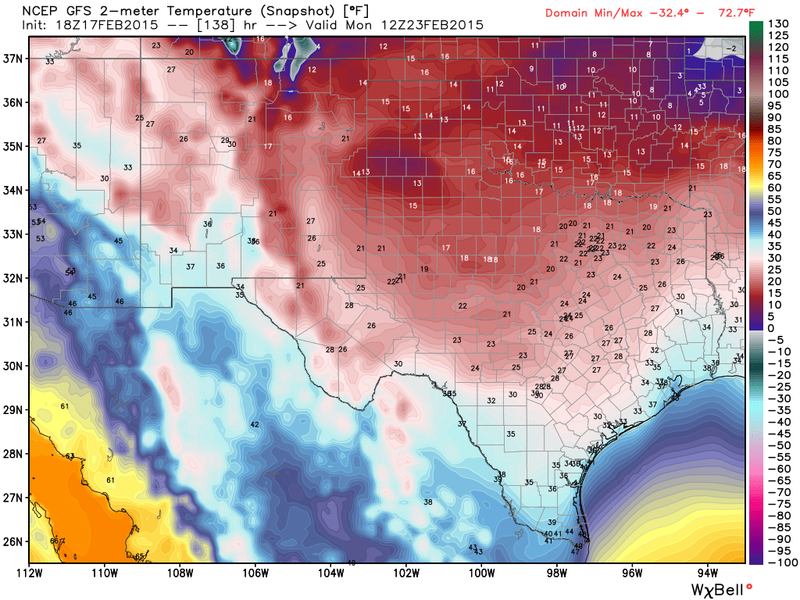 The latest run (18Z) of the GFS model is forecasting 13°F Monday morning at sunrise for the Clovis and Lubbock areas. So I suspect the mid 20's over southeastern New Mexico may be a little too warm. 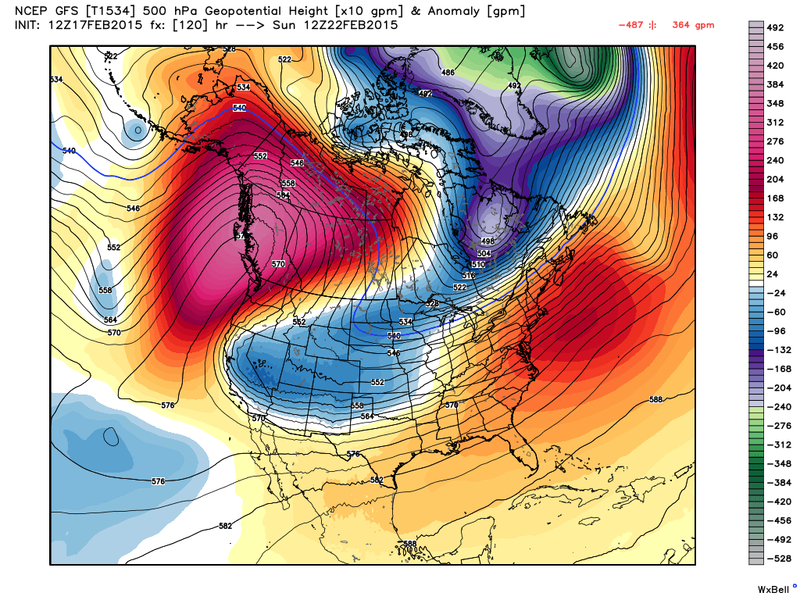 The models want to break off a short wave over the Desert Southwest late this weekend into the first of next week. So once again snow is in the forecast for New Mexico...especially over the northern mountains, northeastern and eastern plains. A second and stronger piece of energy is forecast to form a closed/cut off upper lover over the Desert Southwest late next week with the potential for much colder weather and more widespread snows.